Dominic Gaspard, a student of the School of Arts and Sciences at St George’s University, aided by his team of international students, was presented with one of the four company challenge trophies at the 2018 Global X-Culture Conference and Symposium held at the University of Macerata in Italy. Mr. Gaspard, a finance and international business major was among 140 students from 29 countries spanning different continents to attend the summer event, which saw the students participate in both theoretical and practical sessions. Mr. Gaspard stated that the award is not only individual but also one for team members Gillian Chan, Lauren MacPherson, and Dominique Scalisi as well. European companies involved in the challenge included Tenuta Cocci Grifoni, Eurosole, Macerata Opera, and Nuova Simonelli. Mr. Gaspard’s team competed with several others teams in the Nuova Simonelli challenge, which required them to develop a brand strategy for the Victoria Arduino coffee brand. The company wanted the brand to appeal to their customers’ emotional side and create a “cool” image for their specialty coffee and espresso machines. The brand appeal was to young adults (18-35 years old) in Europe, North America, South America, and Asia. 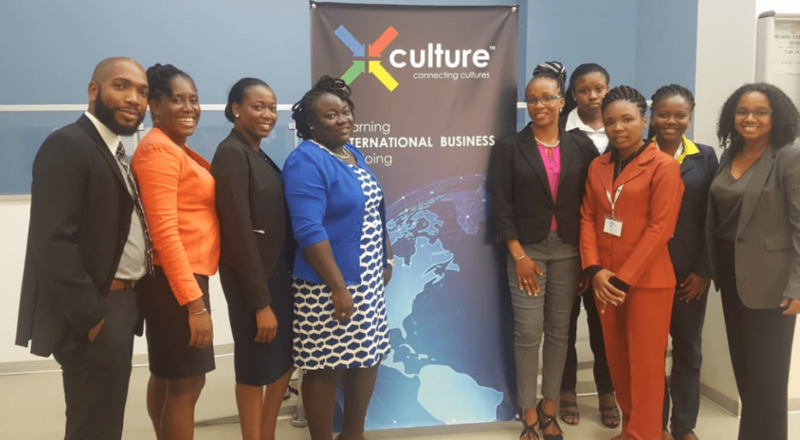 X-culture, a component of the International Business course at SGU, allows students working in global virtual teams to develop solutions to international business challenges that are presented by the X-culture corporate partners. Students also participated in development workshops that gave instruction on cover letter and resume writing, interview skills, and elevator pitches. This year’s visit marks the third time that students from the School of Arts and Sciences have participated in the X-Culture international conference, and each year an SGU representative has been bestowed an award. At the 2016 event in Mexico, SGU student Renee Latouche was recognized for her elevator pitch, and last year in Miami, Marlon Horsford and his team won the Hard Rock Challenge. 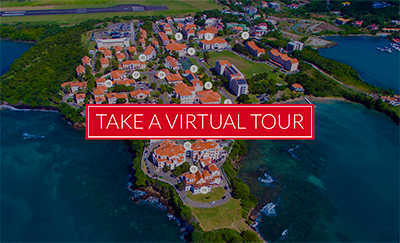 Launched in 2010, X-culture is a large-scale international experiential learning project administered by X-Culture, Inc., in collaboration with more than 150 universities around the world. Approximately 5,000 students from 150 universities in 40 countries participate in X-Culture every semester.